At 44 feet long and 27,000 pounds, Global Hawk is about as large as a medium-sized corporate jet. Pulled out of the laboratory and a testing program in 2001 to go fly over Afghanistan, it is indeed a platform—a flying bus—but really, more like a low flying satellite. It’s hardy and flexible but also built to accommodate whatever cargo is needed for the next mission: a type of sensor (and not just one), a listening device customized for a specific target, a communications relay that serves as a flying server or cell tower. 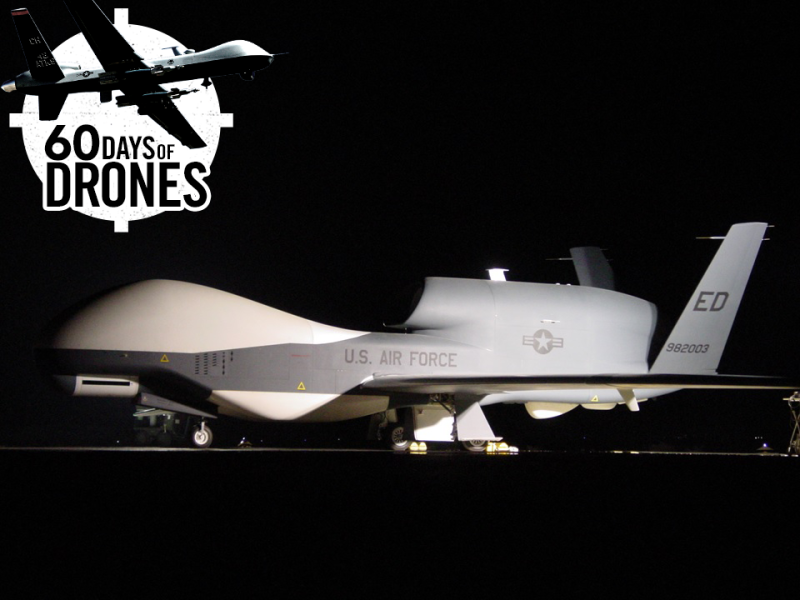 Global Hawk is “persistence” personified when it comes to the modern world of intelligence collection and surveillance. There are experimental competitors that fly higher or last longer, but none that have been the standard and essential equipment of the fighting force for 15 years. In 2014, Global Hawk flew a 34.3-hour flight, setting the endurance record for longest unrefueled flight by a U.S. Air Force aircraft. What does the 60,000-foot-high spy in the sky do? 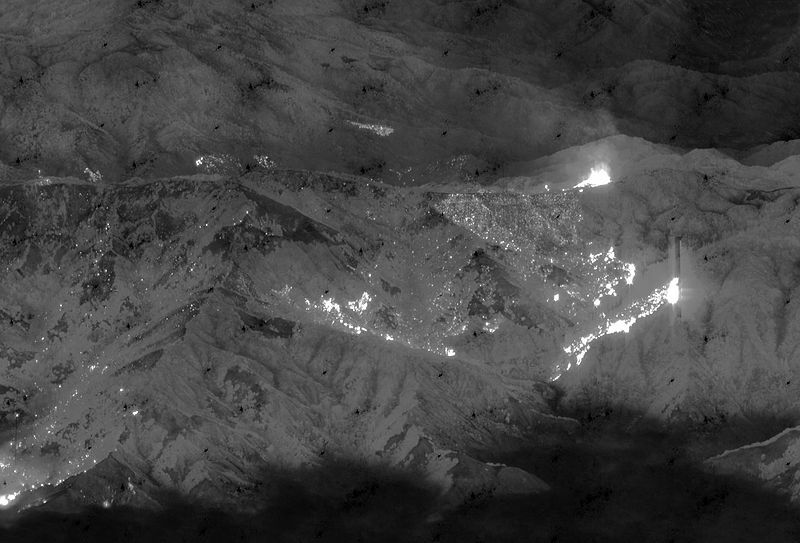 Depending on the cameras and sensors installed, one platform is capable of imaging 40,000 square miles per mission—what’s called wide-area imagery—as well as taking some 2,000 spot images, flipping almost seamlessly between electro-optical, infrared, synthetic aperture radar, ground moving target indicator, and more; beaming imagery across the globe for immediate exploitation. 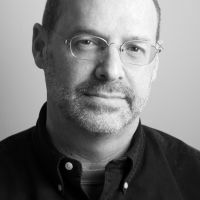 A single Global Hawk consumes five times the total bandwidth used by the entire U.S. military in Operation Desert Storm in 1991—two and a half times used in the entire Kosovo war in 2009. Flying at an altitude twice that of commercial aircraft, Global Hawk tends to fly above the weather, and the newest sensors—SAR, multispectral and hyperspectral – allow it to see through the weather. Even when the 2003 ground advance into Iraq was held up by the mother of all sandstorms, Global Hawk flying well above (and offset from) the storms produced a constant stream of intelligence where other platforms were blinded (read the excerpt from Unmanned below). 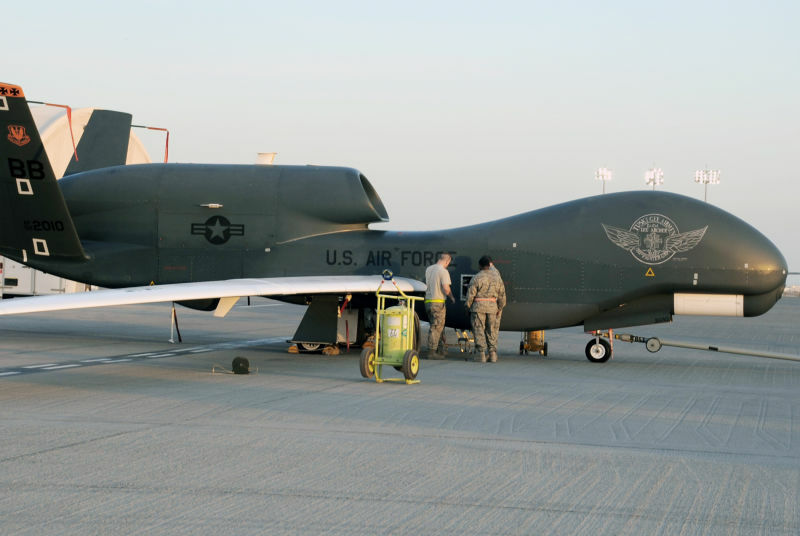 Everyday, a Global Hawk might be found flying along the Iranian border, across the Korean Peninsula, in the Black Sea, down the Chinese coast. Unaffordable, lackluster performance, “not suitable and [only] partially mission capable;” that’s what the auditors and the critics all say. 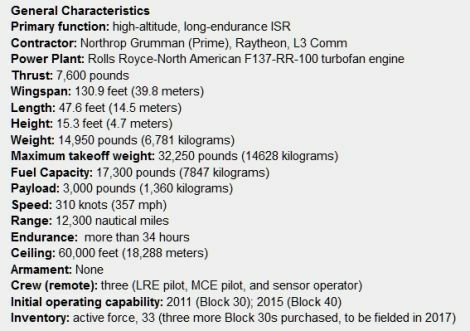 The plan in 2015, almost 20 years after Global Hawk began development, is still to declare it “fully” operational, not a moment too soon since the Navy’s maritime version called Triton about to hit the oceans. Budget under attack, further procurement assaulted by even more futuristic pretenders that will be able to fly and shoot, Global Hawk just flies and flies, in some ways an old-fashioned intelligence asset that can look at the big picture or go micro when needed, the very kind of drone one would want to have even if one didn’t want to be a part of the world of spying and killing. NASA uses the giant platform to research hurricane patterns, with the drones spending anywhere from 10-20 hours recording the development tracking storms along the East Coast. Read more and check out some interesting photos from inside the NASA Global Hawk hanger in this 2012 article from Wired. 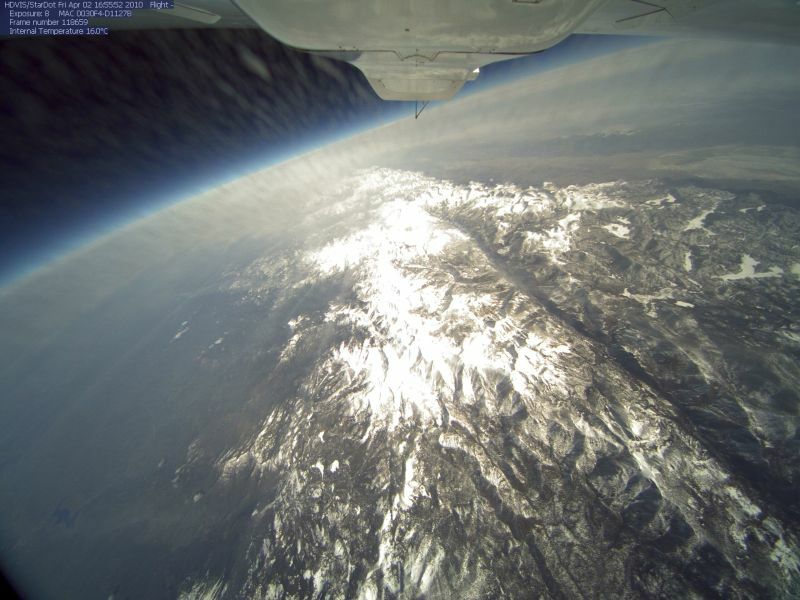 More photos can be seen at NASA’s Global Hawk Image Gallery. Phase Zero sources tell us that Global Hawks flying from two different locations in the Middle East conduct almost 24/7 coverage of that area in five different mission sets. For more tidbits like this, follow us on Twitter and look for #PZintel tweets. South Korea, Japan and Australia have all been eager to buy Global Hawks, and a proposed 2017 expansion of Guam’s Andersen Air Force Base will allow a pair of naval Triton versions to range throughout the Pacific. Little more than a week ago the Navy awarded Northrop Grumman a $60.9 million contract – just for the continued development of the naval version. It’s easy to see how the price tag for DOD has easily surpassed a $10 billion price tag.